Our staff at Horizons includes only a handful of paid workers. A lot of what we accomplish is a direct result of our volunteers: over 300 different volunteers each month, coming from 11 different churches here in Quincy. We THANK YOU for your participation if you have ever volunteered with us. You are appreciated. Like our volunteers, our paid staff members come from different backgrounds and different churches here in Quincy. Please allow us a moment to introduce our staff to you. Sarah Stephens joined the staff of Horizons in 2010 as the Director of Operations. She moved into the role of Executive Director in 2011. Sarah comes to Horizons with years of banking experience, serving as Vice President and Manager for National City Bank. 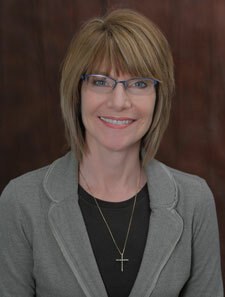 She attended John Wood Community College and Quincy University. She and her family reside in Quincy. Mark Geissler is a 2006 graduate of Carthage High School. After graduating, Mark spent time as a Welder at Manchester Tank for 2 years, until being called up for deployment to Afghanistan from October 2008 to July of 2009. Upon returning from deployment, Mark worked at Little Jess Jeep for 8 months, until he felt the Lord’s calling to go into ministry, serving full time as a Kitchen worker, and general ministry aide. 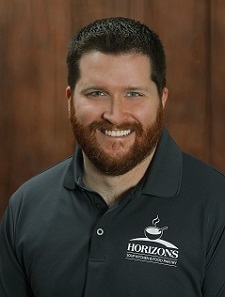 In August of 2010, Mark took over as Manager of the Horizons Soup Kitchen, and Horizons Food Pantry from Peggy Grant, who was one of the original founders of the Horizons Soup Kitchen. Mark is thankful for what God has done in him, and through him, and very blessed to be a part of this growing ministry and service. He is looking forward to what God is going to be doing here, and in him, in the future. Dain enlisted in the United States Air Force immediately after graduating high school in Boyceville, Wisconsin. During his 15 years in the military he worked as a fighter jet engine mechanic in Texas, California, North and South Carolina, Germany, and Iraq. In 2016, he left the Air Force and joined the Horizons family. 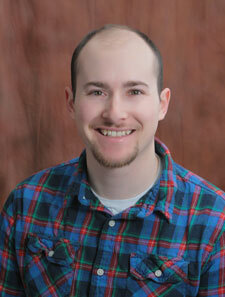 Dain is a graduate of the Community College of the Air Force, and is pursuing a second degree with John Wood. 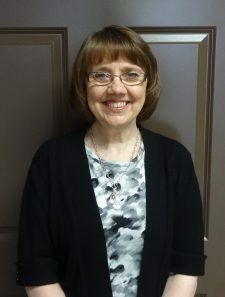 Donna McKee began her time at Horizons as a volunteer before taking the Kitchen Manager position in 2015. She has worked as a teller at Great River Community Credit Union and managed a licensed day care for several years. 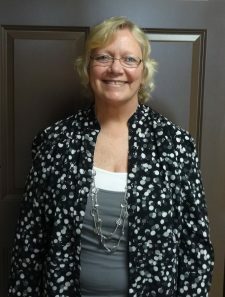 Donna graduated from Pittsfield High School and attended John Wood Community College. She and her husband reside in Quincy. PaulaRae Johnson joined the staff of Horizons in January 2018. She has assumed the position of Food Pantry Manager. PaulaRae has worked in the Social Services field for nearly 45 years mainly focused on the residential care and case management of indigent women, children, and teenage pregnancies. She was Support Team Lead for residents at Madonna House. When that service was discontinued, she took over the management and operation of Madonna House Food Pantry. Now she brings those skills to Horizons. PaulaRae is a mother of 3, grandmother of 7, and above all loves the Lord. She attended LakeLand Community College and Illinois State University with an emphasis in psychology. She is also certified as a Community and Economic Development Specialist. In her past time, she advocates education and support in Suicide Prevention Awareness. Tish joined Horizons as a volunteer in 2016 and was hired as a Kitchen Manager in 2017. Her employment experience covers the full spectrum of work that is called for at Horizons. 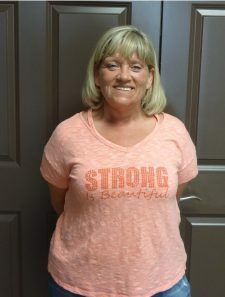 She has worked in food and customer service, as a home manager with Upward Bound, as a stay-at-home mother with an in-home daycare, and as a teacher’s aide with Hannibal Public Schools. She received her G.E.D. in 1987 and has attended Hannibal-LaGrange College. 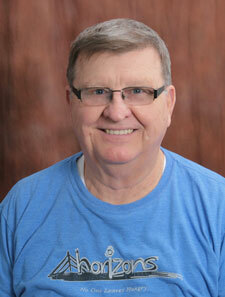 Larry attended the Hamilton Public Schools and then graduated from Northeast Missouri State Teachers College. He had been employed at the Union Electric Hydro Power Plant in Keokuk Iowa for 36 years and then spent 7 years at Generations Electric and Service in Hamilton, Illinois. Larry was commissioned as a lay pastor in the McDonough Presbyterian Parish from 1987 until 1991. He volunteered at the Fort Madison Federal Penitentiary to assist with the weekly Bible Studies from 2001 until 2010. In 2010, Larry came to Horizons Social Services as the Work Program Director and he is currently the Operational Assistant for Horizons.